The Swan Lake site is located within the Yazoo National Wildlife Refuge and is located on Yazoo Refuge Road just east of the intersection with Deer Lake Road. In addition to the Indian mounds, visitors can access the Refuge’s walking trails, gardens, and the Visitor's Center, which has artifacts from the site on display. 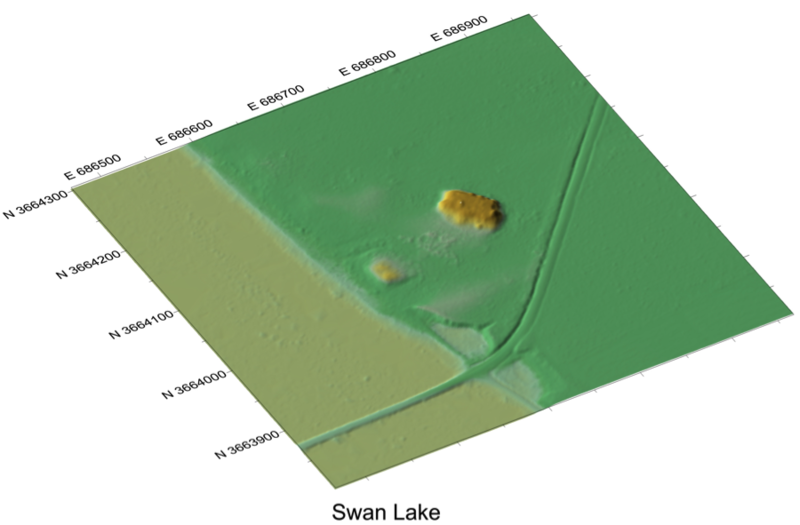 Swan Lake originally included four earthen mounds, the two largest of which are still visible today. Mound A, at 16 feet in height, is oblong in shape and has a ramp extending from its summit towards the southwest. Directly opposite the ramp, Mound B stands a short distance away on the lakeshore. Mound B, along with Mounds C and D once formed a north-south line of three mounds running parallel to the lake. Professional archaeologists surveyed the site in 1941 and again in 1949. Sometime in the intervening years Mound C was leveled. Reports of the demolition suggest that Mound C was a burial mound. The original dimensions of Mound D are unknown. When archaeologists first visited the site in 1941 it had been in cultivation and was only visible as a low rise with a scattering of pottery fragments on the surface. 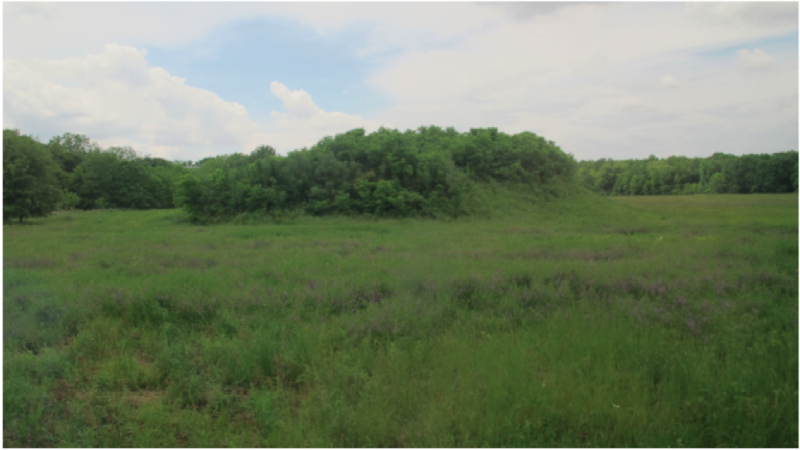 No excavations have taken place in any of the mounds at Swan Lake, but archaeologists from the University of Southern Mississippi documented a rich village midden in a road cut south of the mounds in 1978. Artifacts collected from the road cut and the surface of the site indicate that Native American people were living here from ca. AD 400 to 1500.